Three times a charm, for this innovative designer as she participates in her 3rd year in Fashion Week Tampa Bay. Each year, Audrey “Pat” McGhee brings exotic, innovative and elegant designs to the runway. Through her 20 years of fashion industry experience, Pat has done everything from retail to wardrobe styling. APM Images is an urban couture label for mature woman who epitomizes pure confidence. Her collection offers clothing for women of all shapes and sizes. Last Fashion Week Tampa Bay 2009 season, Pat rocked the runway with her untamed wild prints and theatrical showcase. 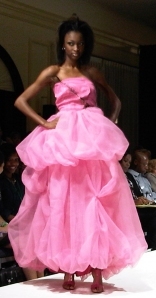 I’m sure Pat will wow the audience once again at Fashion Week Tampa Bay 2010!